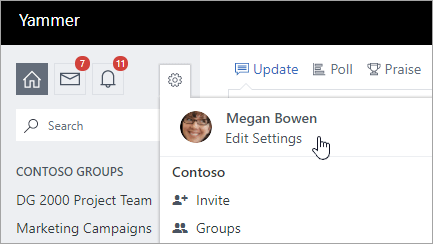 As of March 2019, we are in process of transitioning how Yammer users are created. 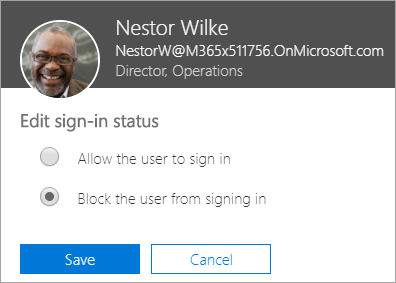 During the transition, which will occur during 2019, the process will be different for existing Office 365 users and new Office 365 users. 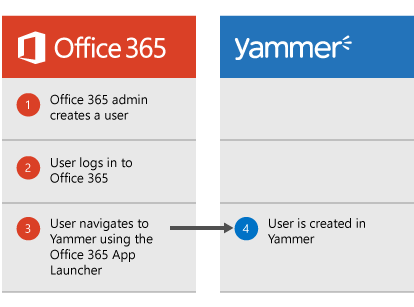 Pre-March 2019: Yammer users are created when they use Yammer for the first time. 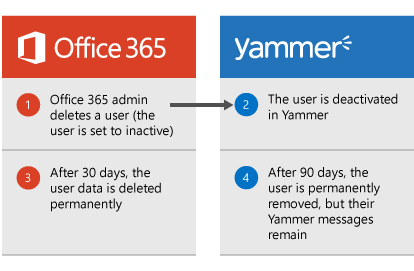 During the rest of 2019, Office 365 users who have not yet used Yammer will be converted to "pending" Yammer users. 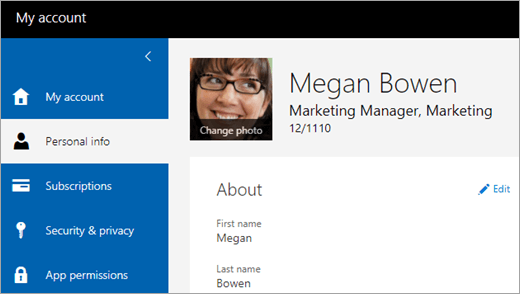 The user clicks the Yammer tile in the Office 365 app launcher to go to Yammer. 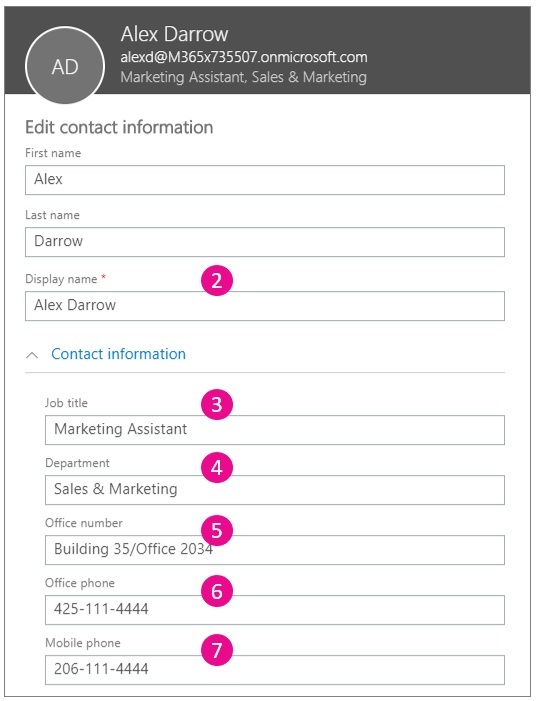 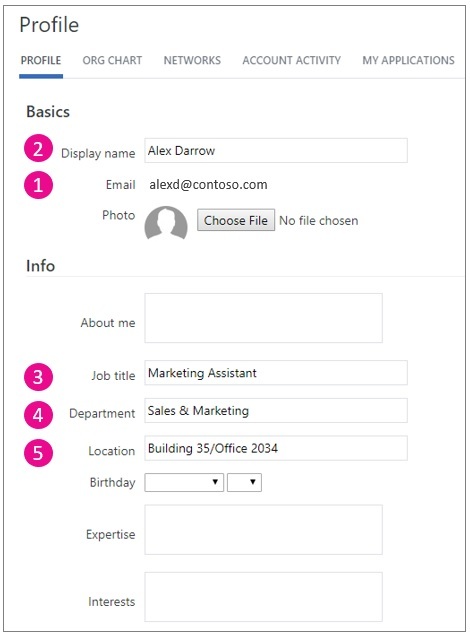 A new Yammer user is created for the Office 365 user. 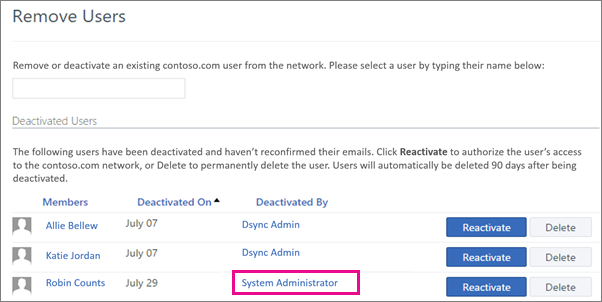 The user's profile properties and language setting from Azure Active Directory are automatically populated in the user's Yammer profile. 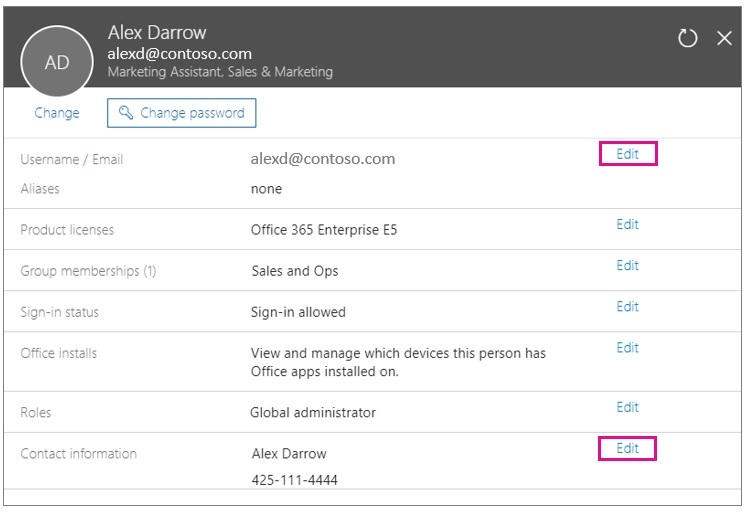 New way: When Enforce Office 365 identity is selected in Yammer, as Yammer-eligible users are added to Office 365, they are automatically added as new pending users in Yammer. 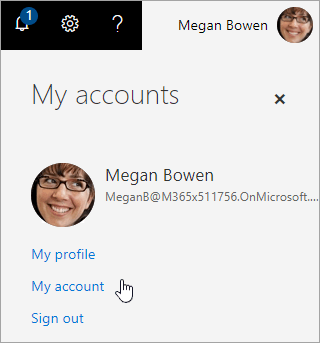 Their status changes from Pending to Active the first time they use Yammer. 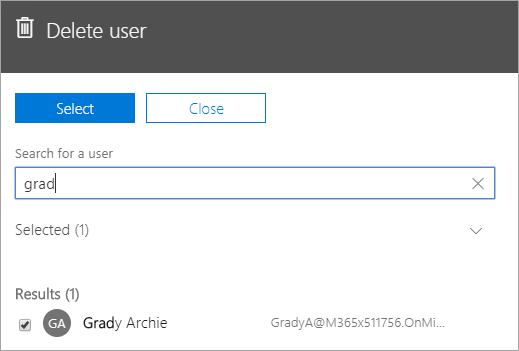 A pending user is created in Office 365. 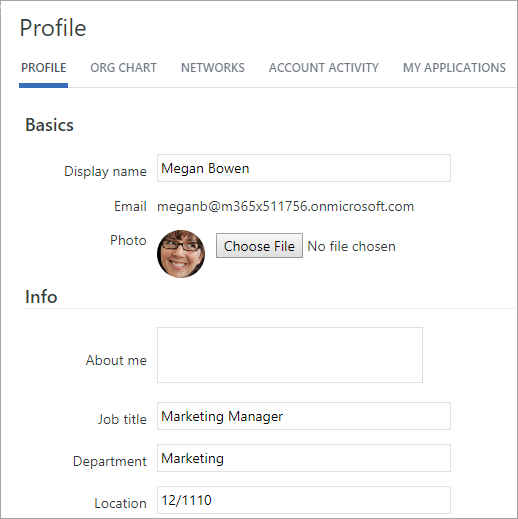 The first time the user uses Yammer, the pending user becomes an active user. 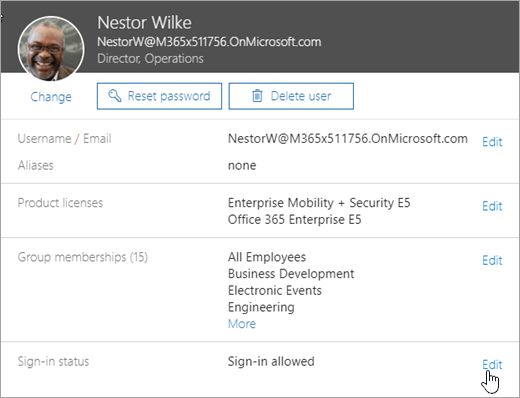 New users added to your Office 365 tenant Enforce Office 365 identity selected Users are automatically added as pending users in Yammer. 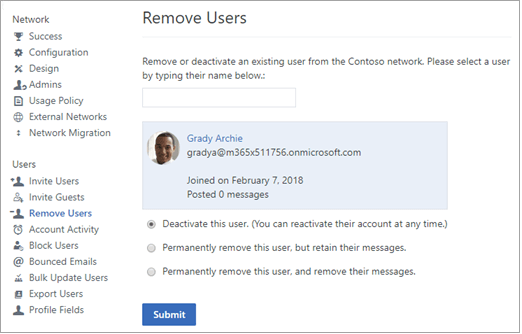 Existing users in your Office 365 tenant Enforce Office 365 identity selected Office 365 users must still use Yammer in order to be added as a Yammer user.